Hearts on a standard or writable, made of metal or of marmorin. In some you can store something. One thing, however, is always the same: their tribute to love. Nice to get but also to give. We all love love. 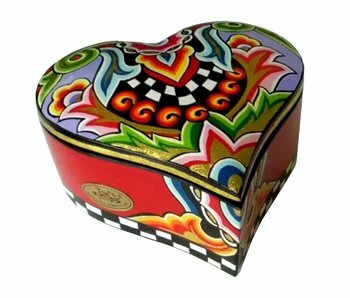 Heart box small handpainted. Inside covered with black fabric. A very nice box for keeping jewelry etc. Width: 11 cm. Height: 6 cm. 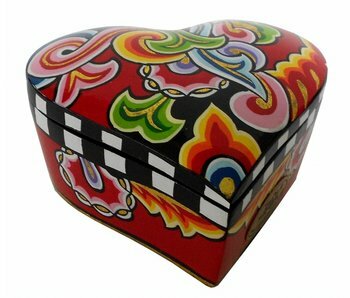 Hand painted Heart box of metal. Inside covered with a soft black fabric. Width: 15 cm. Height: 7 cm. The Spring Collection 2011 contains a new series of picture frames, which can be rotated to be used horizontally or vertically. The frames have a red heart with the word LOVE. The frames are made of hand-painted marmorin. The new Collection 2011 contains a new series of picture frames, which can be rotated to be used horizontally or vertically. The frames have a red heart with the word LOVE. 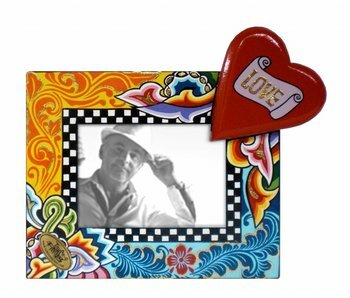 Photo frame with red heart, which can be placed horizontally or vertically. Size 40,5 x 33,5 cm - photo size 28 x 21 cm. Height 34 cm. The red feathers may be omitted. Hand painted marmorin. 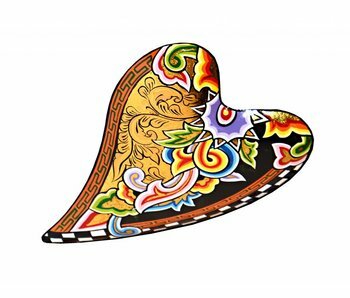 Beautiful hand-painted heart. Height: 28 cm. Made of marmorin. 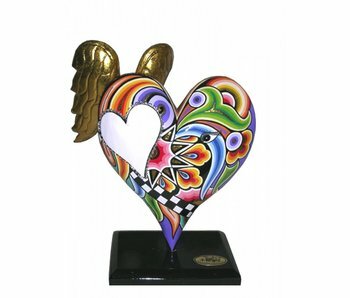 Writeable heart with golden wings. On the white hart you can write a message. Height 27 cm. 100% handmade by Toms Drags. 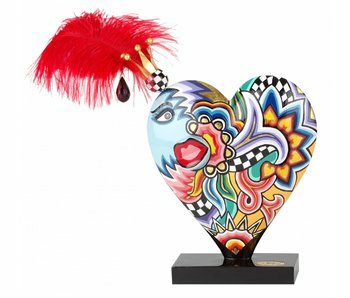 Hand Painted in black heart with on top with a red feather. Height 16 cm. Made of Marmorin. Handmade by Toms Drags. 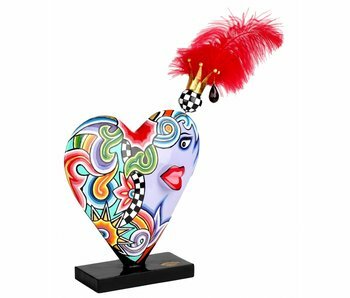 Hand made Toms Drags heart with decorative red feathers. Height 25 cm. 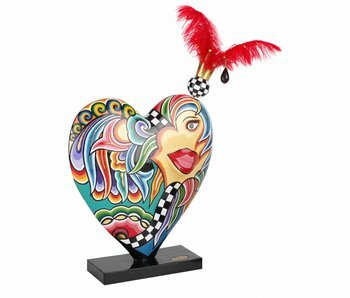 The heart is mounted on a black base. Designed by Tom Hoffmann.